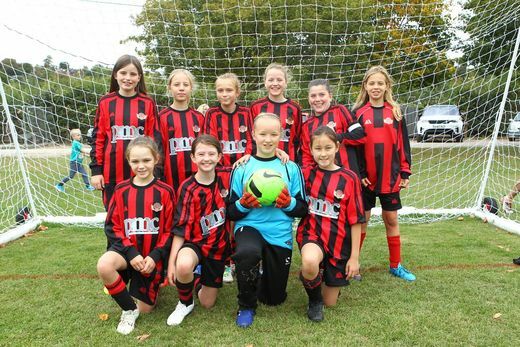 The Under 12 Merlins are part of our two teams large Under 12 set up at Flyers! This group of girls came together last year to brilliant success, highlighted by a 6-0 victory in their first competitive match. The team flourished throughout the season, going from having enough for 7-a-side at the start of it, to ending it with 16. It is from this growth that there has now been the development of our third Under 11 side. This team is coached by one of our female coaches Angela, who is in her second season with the club.